Have you ever heard of an earmold? If you haven’t, you might be wondering what it is. Even if you have, you might not be entirely sure of what it is and what it does. If that’s the case, then keep reading this article because we are going to talk about what an earmold is down below. The earmold is one of the behind-the-ear hearing aids’ best friends. It is a small piece of plastic or other moldable material that is inserted into the ear. It is usually fitted but the audiologist during the hearing aid fitting appointment. You can also buy earmolds online that ‘fit all ears.’ While this is an option, an earmold needs to fit the ear precisely to be able to its job to the full extent. If this isn’t done, you could experience physical pain in the ear, or problems hearing. That is why it is best to discuss whether you should get an earmold with your audiologist and have them fit it properly if you do need one. 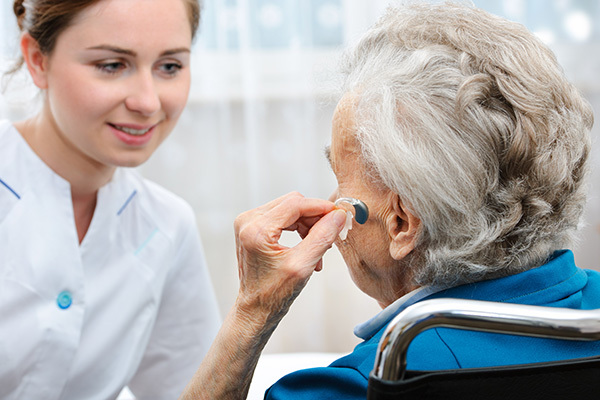 One of the main uses for an earmold is to connect the ear canal to a behind-the-ear hearing aid so that it can do its job at optimum levels. It is used for sound conduction, meaning that you are likely to get better quality sound from your hearing aids if you have an earmold. You can use an earmold to prevent hearing loss. Your hearing health is very important, and you are going to want to preserve it for as long as possible. If you frequent events such as music concerts or festivals, you would likely benefit from an earmold. Or, if you know that you are going to be around loud noises constantly at your place of work, or at home, these might be a good option. Finally, you can use them to protect your ears. If you spend a lot of time in the water, or in an environment where liquid or debris can get into your ears, you might want to speak to your audiologist about getting an earmold. It stops things from being able to get into your ear, and therefore reduces the risk of you having any issues with your ears. As already discussed, you might need and earmold for hearing protection, prevention of hearing loss or if you are getting behind-the-ear hearing aids. If you are in doubt, you should think about talking to your audiologist about all of the options that are available to you. Do not be afraid to ask questions about this; your audiologist will be happy to talk through any issues or concerns that you have. Hopefully, after reading this article, you feel like you know more about what an earmold is. If you have any further questions, you should contact your audiologist, and they will be able to provide you with professional advice or a more in-depth explanation.